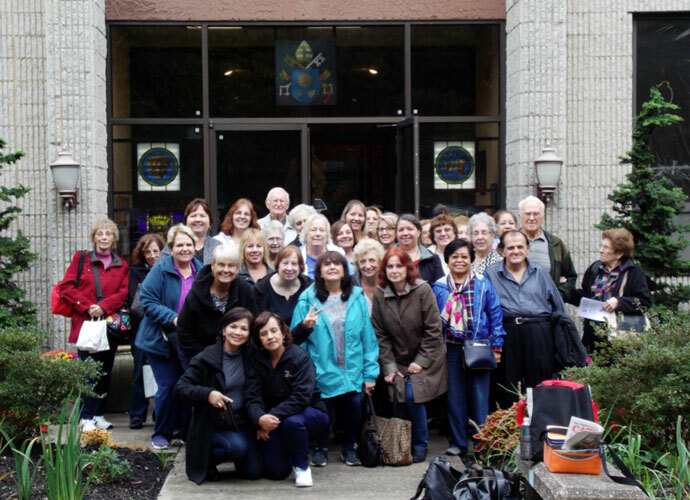 The Rosary Ministry of St. Helen’s parish, Howard Beach, sponsored a pilgrimage to the Shrine of Our Lady of the Island on Saturday, Oct. 1. The parishioners prayed as they strolled the Rosary Walk and the Stations of the Cross. They attended Mass and adoration of the Blessed Sacrament. Father Roy Tvrdik, S.M.M., spoke to them about the importance of devotion to Our Blessed Mother. The day ended with the passing through the Holy Door of Mercy.